Support After the Sale Impressed Me! "We had never been to the Lake of the Ozarks area but decided to buy a vacation home there because of the proximity to our permanent home. I shopped for a realtor first and decided on Fran Campbell's team due to them being part of Re/Max network and the depth of experience and professionalism that was evident in the team's bio's. My initial contact with Debbie Richardson was rewarded with an understanding and knowledgeable professional who personally lives on the lake. Debbie helped us understand the dynamics of the lake area, the places that would be good or bad for our purposes and then worked around our crazy schedule to show us the properties that would be of interest. Because we were from out of the area, she carefully screened the properties and provided expert guidance in order to maximize our time while actually there looking at properties. Together, we found and purchased the perfect property. But that isn't what was impressive. What really impressed me with Debbie is the support after the sale!" "I live in California at present and wanted to have a retirement property on the water where the dollar went a lot further and the lifestyle is more laid back. Lake of the Ozarks came up in a search and I started looking at properties over a year ago. I called Debbie on a couple units and when I found the one I wanted she did my walk through...took pictures...and then helped orchestrate the initial offer and counter offer along with all inspections etc. I felt so confident in her knowledge and professional attitude I bought the condo sight unseen. That is a first for me and I will highly recommend her service to anyone looking for the best fit in a new home." "Debbie Richardson was great to work with! Debbie quickly understood what we were looking for and found what we wanted on our first visit to the Lake of the Ozarks. The Fran Campbell Team is in every way easy to work with and alway squick to respond to any questions or needs that we had. We couldn't have asked for a better experience while finding and buying our new condo!" We highly recommend using Debbie and the Fran Campbell team! "We had an excellent experience working with Debbie Richardson of the Fran Campbell RE/MAX Team in recently finding and purchasing our condo down at Lake of the Ozarks. It all started with the great website that Debbie connected us to, allowing us to review and save the real estate listings that met our preferences. Debbie kept track of our favorites and made suggestions and recommendations based on our criteria and her growing knowledge of us. When we went down to the lake one Saturday morning to review our top choices, we knew by the end of the viewings that she had found the right unit for us. We immediately put an offer on the condo and she professionally guided us through the rest of the process with ease. From local mortgage lenders, to inspectors as well as utility companies to transfer services, Debbie was always one step ahead of us in preparing for a successful and complete closing. We highly recommend using Debbie and the Fran Campbell team in listing or purchasing your lake property!" 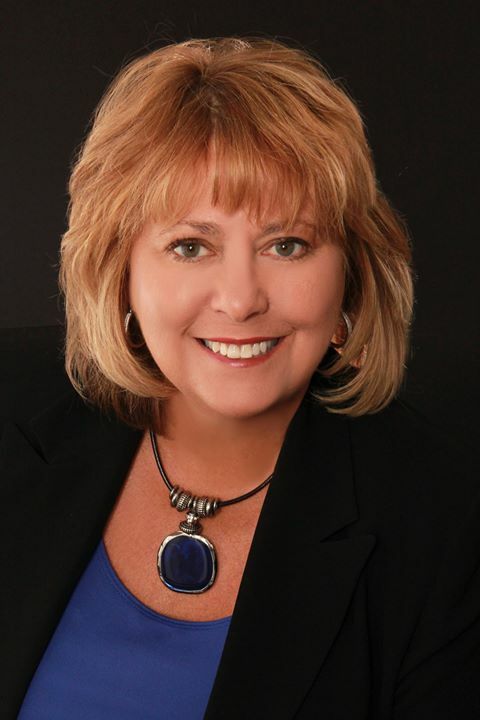 "The Fran Campbell Team went above & beyond in every aspect of the transaction. Debbie Richardson is extremely knowledgeable & professional. She worked with us & treated us like family. We greatly recommend this Team for all your Lake transactions. "We were introduced to the Fran Campbell team member Debbie Richardson. With out a doubt the best agent we have every had to deal with. Debbies knowledge and experience is unmatched. She went well above and beyond just finding a home for us. Could not be more pleased." Debbie Will Always Be The Realtor We Choose! "I found my real estate transaction with Debbie Richardson to be a most pleasurable experience. She was very helpful in completing the transaction for me and did an awesome job in seeing that all basis of the transaction was complete and done properly. She is a valuable asset to your team. "Debbie- It is hard to put into words how much we appreciate your outstanding customer service and attention to our meager condo purchase. You are in our hearts forever."